Dubai received 2 per cent more tourists in the first quarter of the year than the same period in 2017, according to the emirate’s tourism department. Overnight visitors increased to 4.7 million in the first three months of the year, led by a 7 per cent increase in travellers from Dubai’s biggest market India (617,000) and a 106 per cent increase in Russian travellers to 259,000. Dubai’s second and third largest source markets Saudi Arabia and the UK saw declines of 1 per cent and 8 per cent respectively but arrivals from China were up 12 per cent to 258,000 making the Asian country the fifth largest source market behind Russia. The UAE granted passport holders from China and Russia visa on arrival entry at the end of 2016 and early 2017 respectively. Visitors from sixth-place Oman declined 4 per cent and ninth-place Iran were down 19 per cent. There was also a dramatic 22 per cent decline in visitors from 10th place Pakistan and a 2 per cent increase from eigthth-place the US. Dubai Tourism director general Helal Saeed Almarri described performance during the first quarter as “stable’. “We expect to build on this strong base of 4.7 million visitors, to accelerate momentum through the summer and beyond – on the back of our strategic investments, partnerships, and policy enablers that are geared to collectively drive strong growth in 2018,” he said. Hotel supply stood at 108,807 rooms across 689 properties by the end of the quarter, increasing 4 per cent and 1 per cent respectively. Occupied rooms nights during Q1 totalled 8.27 million compared to 7.96 million the previous year and occupancy stood at 87 per cent. Dubai is aiming to attract 20 million tourists annually by 2020 from 15.79 million last year. 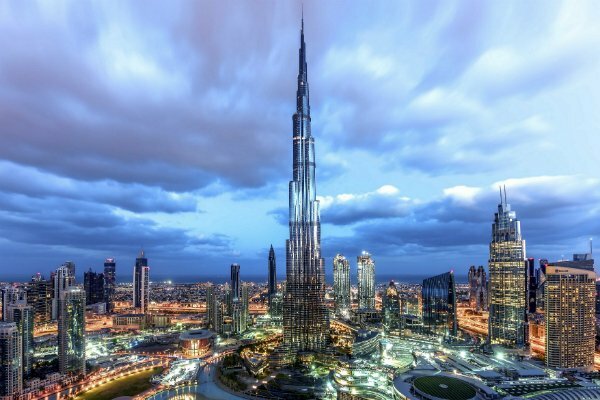 To boost tourism it has recently announced plans to introduce a fixed-price tourist pass for attractions like the world’s tallest building the Burj Khalifa and theme parks. The UAE government is also seeking to introduce transit visas to allow passengers connecting at major international airports in Dubai and Abu Dhabi to go out and experience the country’s tourism offering between flights.